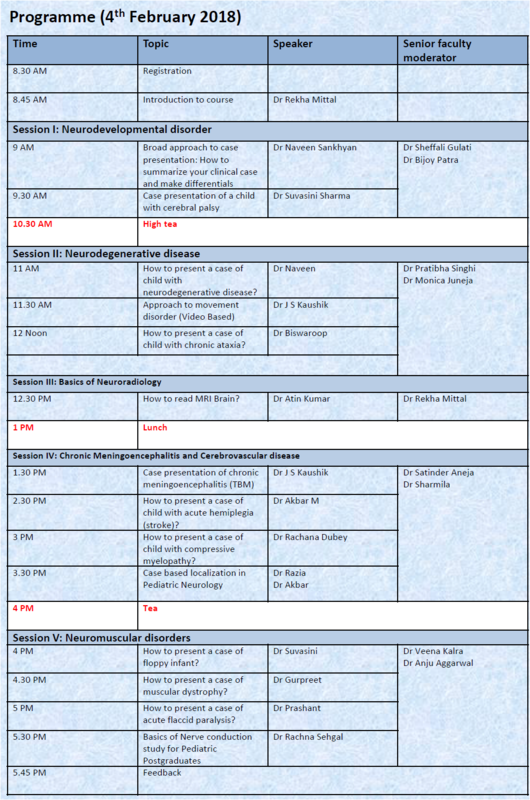 This masterclass will have sessions that will focus on exam oriented approach to common clinical cases in Pediatric Neurology. It will be an interactive session that will focus on case vignette and video based discussion of common clinical conditions that are commonly asked in exams. These exam oriented sessions are expected to focus on highlights of history, examination and key differentials of common clinical cases allotted to MD/DNB/DCH Pediatrics in their final practical exams. Registration will be restricted to 60 students. Registration will be purely on the basis of FIRST COME basis. Number of participants will be restricted to ensure free discussion during the sessions. THERE WILL BE NO SPOT REGISTRATION.